Children learn through music therefore music in early childhood provides a great introduction to the rhythm of words for future reading, writing and language experiences. Above all it is fabulous fun. 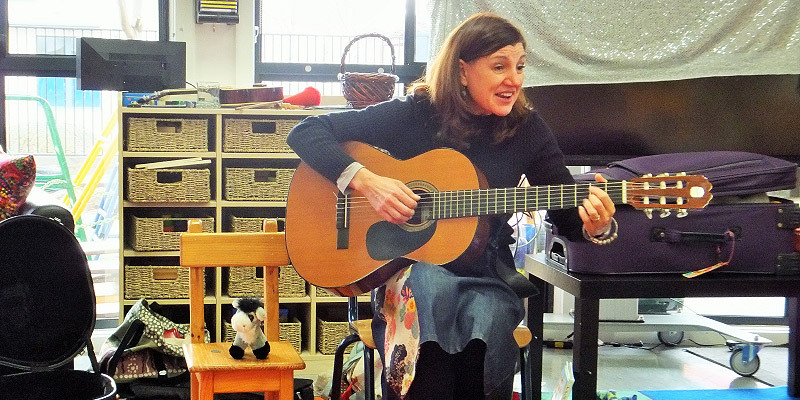 The musical experiences children will participate in revolve around singing many songs. Songs include traditional children’s repertoire, with age appropriate songs taken from the classical, jazz, and musical theatre style to extend children’s musical knowledge. I am always on the lookout for new ways to say hello and include a diverse range of multicultural songs within my program. I have several welcoming songs that encourage children to share their family cultures with me. Drama and imagination are a great part of my program. It encourages interaction and builds confidence. I have a series of props that help with this process, such as puppets, books and other musical tools. Drama is often set to a song, story or to music. I incorporate literacy within my program as often as possible. Spoken word combined with rhythm activities such as clapping or stamping or played on percussion instruments is another way to connect music with language. 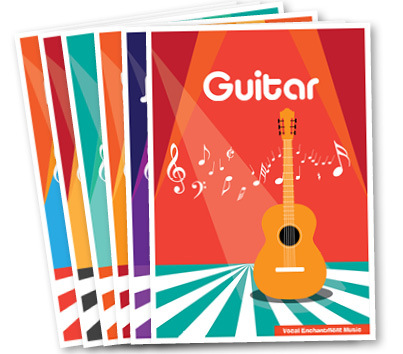 Books are included as a tool to connect with the various musical activities of the lesson. One such example is playing musical instruments or adding movement to accompany a story. Within this structure the children will be experiencing the beginning of musical form, rhythm, and beat repetition. They will experience hearing and using musical instruments experimenting with dynamics of sound, improvisation, vocalization and dramatization. 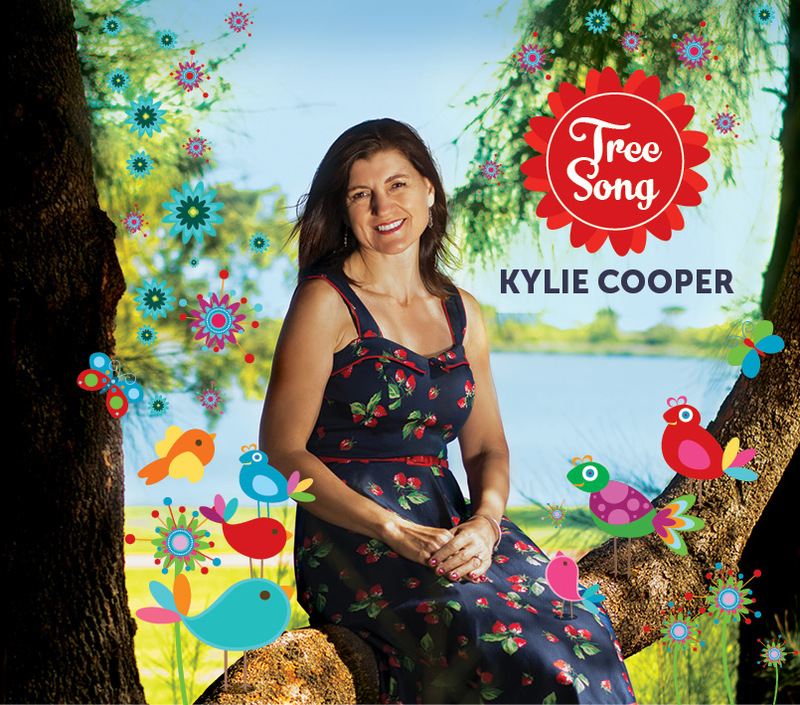 Kylie’s childrens’ performances have strong links to numeracy and literacy development, and connect with the Early Years Learning Framework for Australia (EYLF), developing children’s learning through curiosity, confidence, creativity and imagination. All these experiences create a strong sense of wellbeing among the children. Movement and non- melodic percussion instruments accompany the many songs. Dancing is a dynamic part of the program helping to develop children’s gross motor skills, coordination and confidence as well as developing memory through echoing dance steps and patterns. Once again the freedom for improvised movement is given as the children listen to different types of music over the sessions. 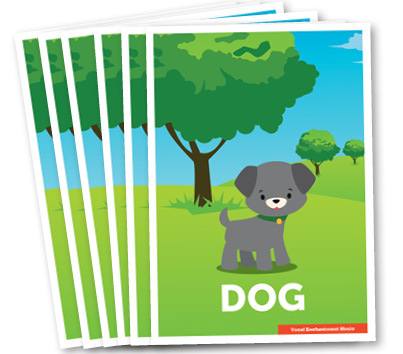 My program is purposefully built to suit Early Primary Schools Classes from prep to grade two, Kindergarten, Childcare Centres or private mothers’ groups in appointed venues. An example of my work can be heard by clicking on the link to listen to a song from my latest cd called “Tree Song”. To purchase the cd and educational learning products please go to Vocal Enchantment Shop. An example from the music program I provide.